Back in the old days new downloads would mostly arrive on Nintendo's stores on a Thursday, with the occasional retail game being special enough for an alternative day. Now we get all sorts of neat arrivals on various days in the week, and today brings a few new releases across North America and Europe. Gaze upon these goodies below. Some of you may recognise this series from the 3DS and Wii U, which brings its own blend of Picross-style puzzles with a dash of extra colour. The Deluxe version will have 300 new puzzles, some of which are bigger than those seen in previous entries, along with touchscreen controls and co-op. The full game isn't out until 4th January, but today brings a festive demo that includes 12 themed puzzles of various sizes, with all functions (such as co-op) included. This dungeon-based game combines an awesome visual style with a clever local multiplayer concept - one player is the main protagonist, but up to three friends possess traps and monsters to try and kill them. The multiplayer hook could make it perfect for the Switch. A game that isn't hesitant to affirm itself as an Indie take on the Smash Bros. style of brawling. Similar techniques are cited as key to gameplay, and you use assorted - in some cases familiar - indie characters to bash others off the screen. We gave this a solid recommendation in our Brawlout review, even though it perhaps struggles to reach its full potential. Developed by Gulti, this is a vertically scrolling shooter that evidently goes big on its story, with three playable characters. One of the key selling points is that it's a 'wide-screen' shooter, designed to fill the entire width of the Switch screen. It's certainly intriguing, though its price point could be problematic; it's only out in North America today but should land in Europe soon. Those are today's shiny new arrivals on the Switch eShop. Let us know what you plan to pick up; we'll be back with the full Download Update on Thursday. I want RXN -Raijin-! But will it ever show up in Europe? (and it is already fully localized in Japanas well! Finger crossed...). 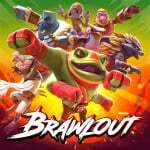 Brawlout looks neat, but without a compelling roster I’ll pass. Most of the appeal of Smash is the characters and these ones look mostly generic. 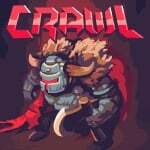 Very tempted by crawl if the single player aspect is good enough, love the sprite work in it. @Daftbomb It's effectively the same solo (except you play with AI instead). Are you planning on getting it to play solo? It's really cruel that the rest of the world gets it three days before Europe, the anticipation is killing me. Raijin would be cool - but they crazy at $38. Watch some of 'Northernlion' s vids, hes a really nice dude, very easy going vibe. Crawl for sure. RXN I would get....but it would have to get some 9's across the board for me to shell out 38 bucks. Is it only digital? BRAWLOUT really rubs me the wrong way. I’d grab that shooter if it wasn’t 38 bucks! Jeez! Also a strange price point. How bout $19.99?? $38 for RXN, yikes! That's approaching Raiden territory (and I noticed Raiden V at Best Buy the other day for $39.99, $31.99 w/Gamer's Club Unlocked) I'll definitely need to see more videos and get a breakdown of its systems before I go in. @Daftbomb Crawl is really fun, but it's definitely built around multiplayer and I wouldn't recommend it if you're planning on playing solo. It's a blast to play with a group of friends though. 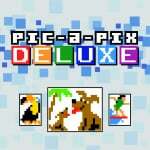 Pic-a-Pix is the only game that really interests me this week. That trailer is about as Japanese as it gets, but there isn't much in the way of videos for now. It does show off how it works to some extent though. I think it's overpriced at about $40. I never like it when shoot-em-ups cost most than $20 or so. I feel like they are too short and arcade like to charge full price for, and I get how some developers want to get more for their effort, but this is like indie games where you can only charge so much. @Daftbomb Will probably get it for multiplayer. I have a younger brother and also bunch of buddies that'll be interested in another local multiplayer game. That shooter game looks like it'll be more fun than Sine Mora EX and I payed $30 for that one. Looks like RXN: Raijin is an exclusive to the Switch as well. I made a few extra bucks this week, I'll pay the high price. It looks decent enough to me. @NewAdvent Im biased, I bought the switch first and foremost to play Isaac. I love the game to death, and I agree, it is a fair bit of cash to throw towards a half decade old game (hello Skyrim?) but it has been updated so many times and refined since its inception. The afterbirth+ iteration is literally packed to the point of bursting with enough content to outlast a few dozen games that are similarly priced. To be honest only Etg comes close to what Isaac offers but its still much smaller. Genuinely expected gungeon to ship at a higher price, and I would have gladly paid, but Isaac is top dog IMHO. I wholeheartedly appeal that you consider going against your instincts on this one, Isaac truly is a perfect switch game. Assuming you enjoy roguelikes that is. RXN-Raijin is so misleading. All that stuff for just another arcade airship shooter and for $38 no less. I bought Crawl with mostly single player in mind. I gave it one run so far, and it's a definitely frenetic energy style, compared to BoI and Gungeon. There looks to be lots to do, and there's a nice polish on it, and arcade like presentation that other rogue likes don't have. 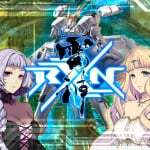 RXN: Raijin is destined for failure at that price. @Shiryu RXN coming this Friday (or Saturday) in PAL regions. @NImH Yeah, if it was $20 I would be all over it. @NImH @JJ286 @JayJ I love arcade shmups, and I agree $38 is hard to plunk down on a new property game. Especially if people are going to credit feed through it or play with a friend once or twice. It just doesn't seem worth it. I'm not putting that approach down, mind you. Heck, that's still the first thing I do when trying out a new game. But, like 95% of playthroughs basically end after a beating it once or getting as far as the credit limit. Then it's never touched again. That's a waste. On the other hand, there's more to shmups, and arcade games in general, to stretch their value. And that's playing for score. Because nailing that 1CC (1 credit clear) and maxing your score in a game is freaking exhilarating! (As sad as that sounds) And the only way that I can justify that price comes down to the gameplay and scoring mechanics. If it's fun and interesting enough, then I could see myself going in and spending more time with the game. Maybe get that 1CC. If it's not fun to play through, it's a $38 dud and some gold coins in your MyNintendo account. I've paid more for better shmups. $100 on one game, in fact. To be fair, the developer, Gulti, is most known for their work on Raiden Fighters Aces for the 360. So I gotta give them some benefit of the doubt that they could pull off a solid title. But yeah, Raiden isn't the deepest of shmups. And RXN is sort of not looking too deep itself. So I really need to see more of the game, I don't care if it's a full playthrough, in order to decide. Actually, RXN -Raijin- does not follow the classic arcade structure, it seems to consist of over 60 very short stages that can be selected on a Starfox-esque map. Beating all stages will likely take about 4 times as long as beating a regular arcade shmup. @EmirParkreiner I'm not a fan of the level select map mechanic. But at least there are a good amount of mini-stages. I wonder if there's a TLB (true last boss) if you clear all the levels with a good score/rank. Maybe i'm wrong, but i don't think there will be a different final boss/ending based on score considering there already seem to be different endings based on the routes you take (kind of like in Ironclad on Neo Geo). About the game not using the "classic" arcade structure (and also widescreen), while i personally love the arcade-style (and on the Switch, playing in TATE isn't as much of a hassle as on other consoles), i have to say i think it's not a bad thing that a actually competent shmup developer tries to make something that's tailored to be a home console experience when there is no arcade version anyway. Sure there are great things about "arcade structure", but it's also limiting in some ways - the player is usually forced to play the full game in one sitting, which isn't always pactical, and the developers usually feel forced to keep the game shorter then one hour (which i actually like for various reasons, but it gives an impression of "low value" to the casual crowd that does not understand replay value). The design of RXN Raijin seems to be a lot more versatile to me. The shortest route on the map, which ends at chapter 17, actually seems to be pretty close in lenghth to an actual arcade game - but if a player wants to spend more time with the game at once, he can go for the longer routes, or try to beat all stages in one sitting, and if a player only has 3-10 minutes of time, he can select individual stages and actually get something done in that time.